My birthday came and went just like birthdays usually do. It was a beautiful few days, as my birthday extended out in order to celebrate with everyone. I just have to express how blessed I am to have met such great people in Ojai. I never would have expected to have met such kind, genuine people in such a short amount of time. 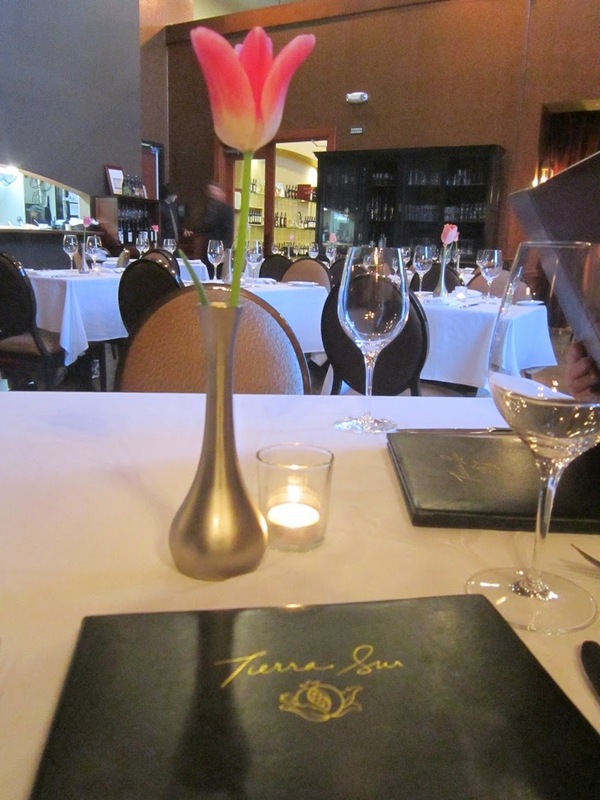 On the evening of my birthday, Scott surprised me with a secret restaurant - Tierra Sur located in the Herzog Winery. I have heard of the restaurant, but for years it just slipped my mind. It has excellent ratings and he scored for picking it out. We decided on the Chef's Tasting Menu that included Herzog Wine Pairing. 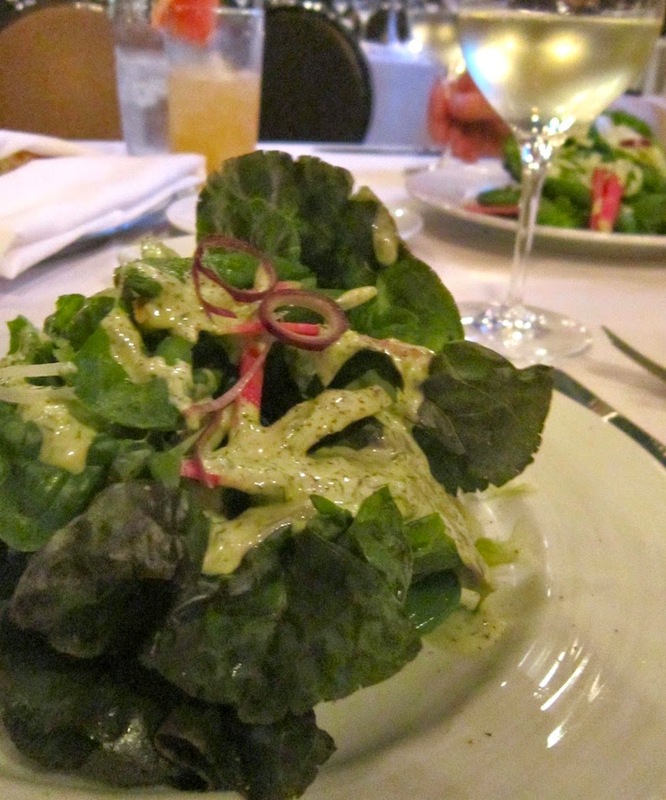 The first course was the Rio Gozo Salad with Frissee and butter lettuce. It was large and lovely, but mostly a big plate of lettuce with slight inclusions of purple potato chips, snap peas and pickled onions. The bacon vinaigrette was swell, it would have made anything taste better. I enjoyed the Baron Herzog Chenin Blanc - Clarksburg that they poured with it so much that I think a trip back to the winery is definitely in order. 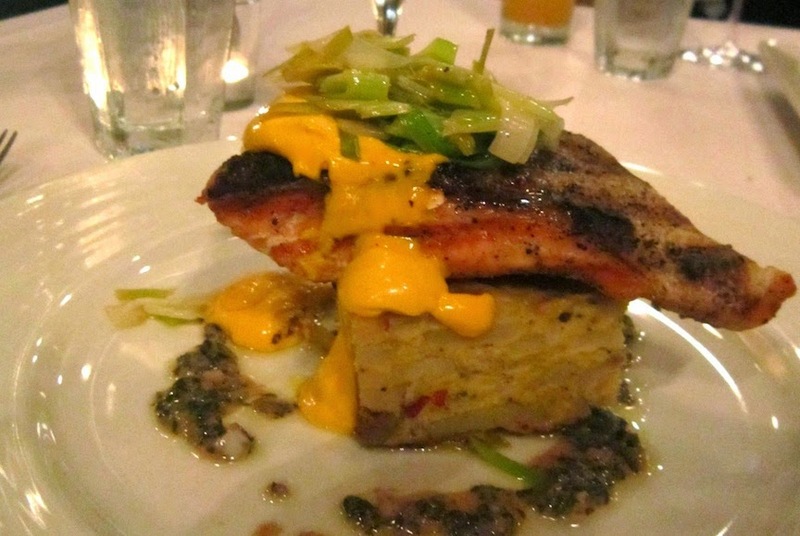 For my entree I chose the fish option and had the Salmon with a cauliflower, potato and tortilla Espanola. it was like a gratin of sorts, a very dense layering of ingredients to make a hearty accompaniment. The champagne leeks and saffron cream sauce didn't seem to quite fit what was going on with my fork but I worked around it. The salmon was cooked perfectly and the Herzon Russian River Special Reserve Chardonnay was perfectly lovely. 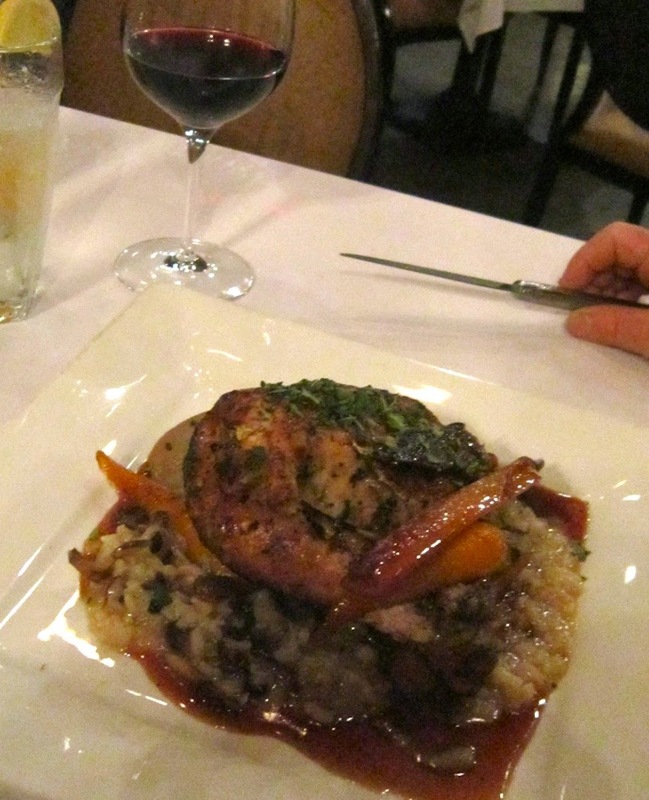 Scott went with he second option for his entree of the Grilled Chicken with Black Truffle Risotto. I was tempted to make the leap into "Yard Bird Land" just because I heard the word "risotto" but I stayed with the things that swim in cool water and I must say I was actually jealous. Bites of the creamy risotto mixed in with the luxurious pan gravy made me wish I had ordered it. His entree was served with the Prince Vineyard Sirah. I was brought out a surprise, limited - off the menu - Birthday surprise. It was really sweet that Scott planned this and it was amazingly delicious. 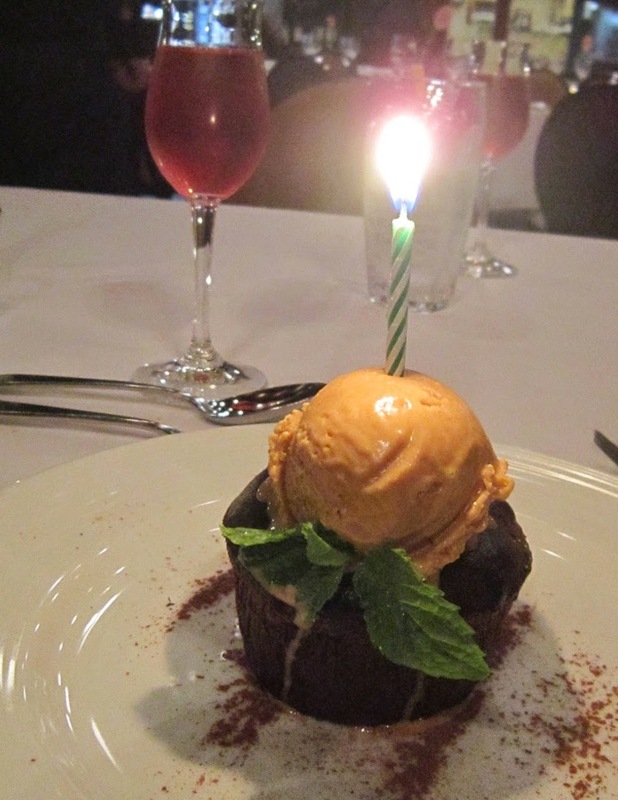 The Mexican Chocolate Lava cake was molten goodness and the spice ice cream was just delightful. I closed my eyes, made a wish and then blew it out for the universe to take hold! 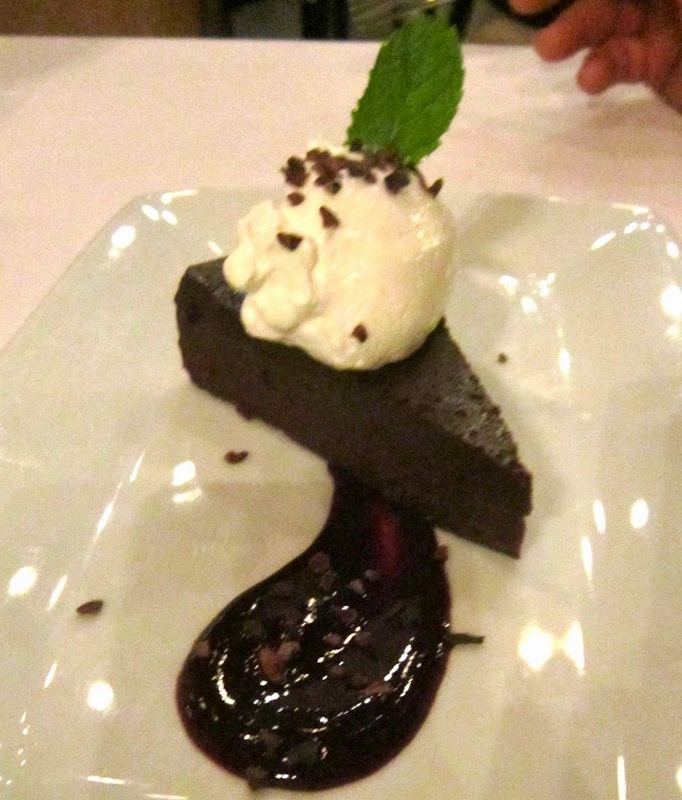 I was brought out an additional dessert to complete the tasting and this a Flourless Chocolate Cake which was like a rich bit of heaven in every bite. I didn't let one drop go back to the kitchen. This was served with a Late Harvest Lodi Zinfandel that tasted like raspberries. What an amazing night! I was stuffed to the brim with lots of fine food and wine but I was lucky enough to be escorted by the man of my dreams looking sharp in a chic, new outfit. It just really was one amazing day. My Ojai girlfriends are top notch. 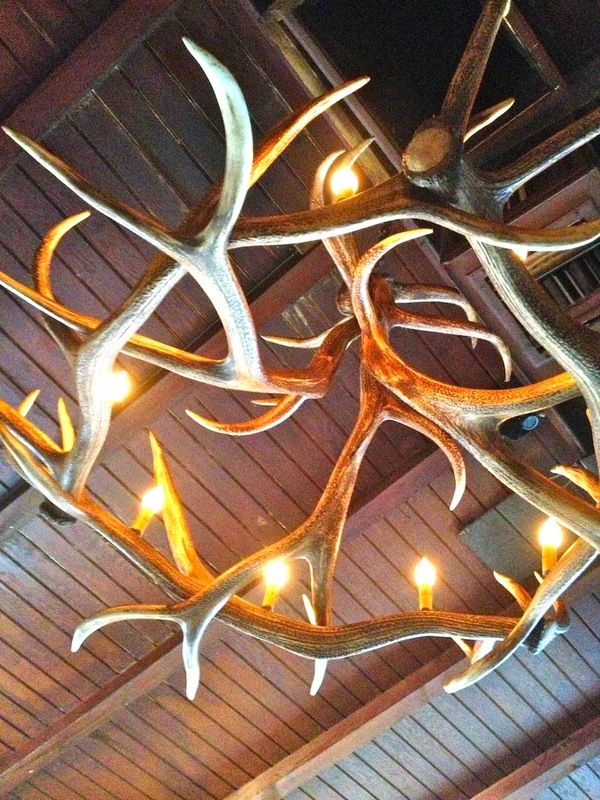 They didn't want my birthday to come and go with out any shenanigans so we arranged a meet up at the Deer Lodge for a few cocktails and eats. These are my peeps: Janelle, Lisa, Lindsay, ME!, Nichole, Darla and Dana. They are my rocks of support, cause for uncontrollable laughter and little blessings brought to me by God. There are countless great things I could brag on each and every one of them - each different and totally unique. I love them all. 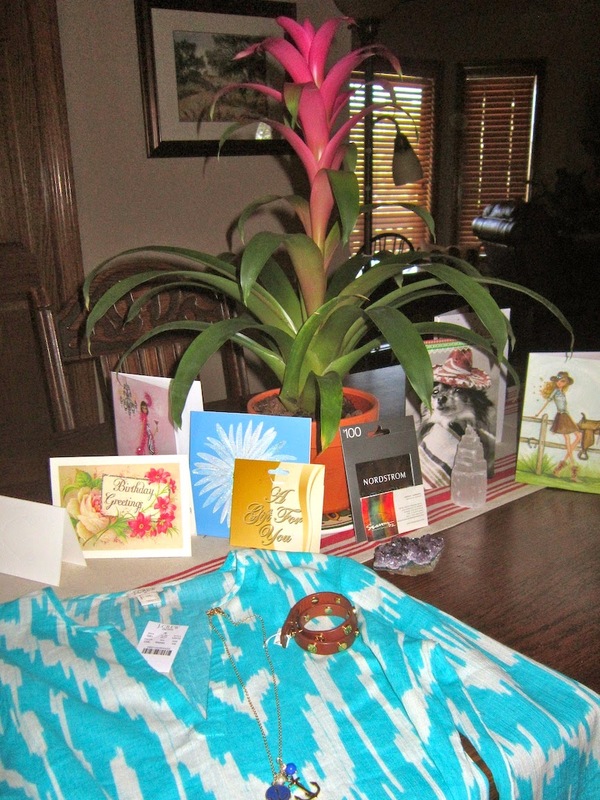 I set up a little shrine with the gifts and cards I was given over the last few days. It is beautiful to see how many people remembered my day. I am so thankful for everyone who wished me a great day.